Honeybees, as it turns out, are nothing like the mindless, self-sacrificing drones that people will one day turn into once Netflix perfects its instant-streaming brain chip — they can actually be quite outgoing or even, according to a personality study conducted by entomologists at the University of Illinois, a little lazy. Researchers measured the bee brain's capacity for "thrill" or "novelty-seeking," a trait that insects surprisingly share with humans and other vertebrates. 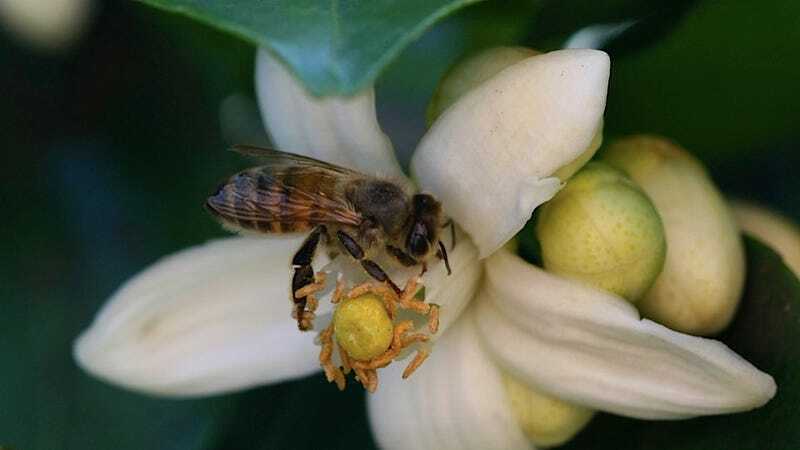 Honeybees that were more likely to get their kicks out of far-flung adventures to flowers all the way on the other side of the yard exhibited distinct gene activity in the molecular pathways associated with thrill-seeking in humans. Moreover, the research suggests that honeybee communities, previously believed to be rigid colonies of productive, entirely task-minded creatures (bees are communists), are comprised of bees that perform their tasks based on their own peculiar whims. What this means is that bees have personalities, so when you flee from them in terror, you can hurt their feelings (conversely, we should all assume mean-spirited bees are probably stinging people on purpose). Our results say that novelty-seeking in humans and other vertebrates has parallels in an insect. One can see the same sort of consistent behavioral differences and molecular underpinnings. So much for the purported simplicity of the animal kingdom. The next time you decline an invitation to go out on a Saturday night because, sigh, you'd just rather watch Doogie Howser reruns and make shadow puppets on your wall in the bluish, pre-dawn light, remember that there's a bee probably slumped over in the corner of his hive, automatically scooping honey into its mouth and wondering why none of its friends want to hang out.